If the non-surgical treatments no longer relieve pain and inflammation in your hip, you may want to contact us and discuss the option of total hip replacement. After discussing with our surgeon, if you decide that this is the best way to restore your ability to carry on your normal activities of daily life, the following information will be helpful for you to know. 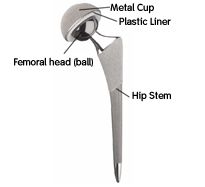 The purpose of hip replacement surgery is to remove the two damaged and worn parts of the hip joint – the hip socket, acetabulum, and the ball, femoral head – and replace them with smooth, artificial implants called prostheses, which will help make the hip strong, stable and flexible again. One thing you should remember is that in the past 40 years, millions of people who have suffered from hip pain and arthritis have experienced relief and restored mobility through total hip replacement. 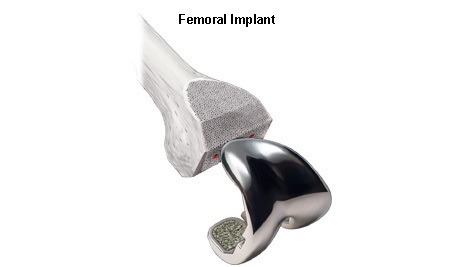 In the United States alone, nearly 300,000 hip replacement procedures are performed each year. There are several ways to treat the pain caused by arthritis. 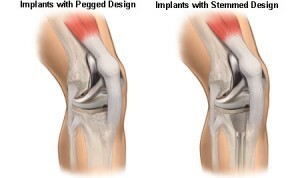 One way is total knee replacement surgery. 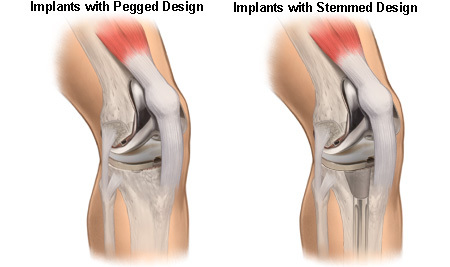 The decision to have total knee replacementsurgery should be made very carefully after consulting your doctor and learning as much as you can about the knee joint, arthritis, and the surgery. 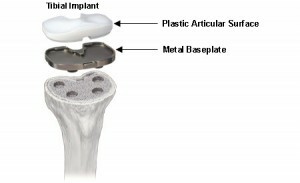 In total knee replacement surgery, the bone surfaces and cartilage that have been damaged by arthritis are removed and replaced with artificial surfaces made of metal and a plastic material. We call these artificial surfaces “implants”, or “prostheses”. The patient is first taken into the operating room and given anaesthesia. After the anaesthesia has taken effect, the skin around the knee is thoroughly scrubbed with an antiseptic liquid. The knee is flexed about 90 degrees and the lower portion of the leg, including the foot, is placed in a special device to securely hold it in place during the surgery. 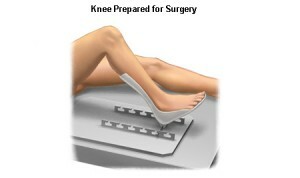 Usually a tourniquet is then applied to the upper portion of the leg to help slow the flow of blood during the surgery. An incision of appropriate size is then made. 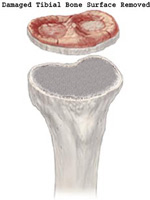 Small amounts of the bone surface are removed from the front, end, and back of the femur. This shapes the bone so the implants will fit properly. The amount of bone that is removed depends on the amount of bone that has been damaged by the arthritis. When you are back in your hospital room, you will begin in a rehabilitation program designed specially for you. This program will help you regain strength, balance, and get you back to the activities you enjoy. It may include a machine, called a continuous passive motion machine, that automatically moves your leg. Your physical therapist will help you perform appropriate exercises. About 24 hours after surgery, you will probably be asked to stand. Within the next 24 hours, you will begin to walk a few steps with the help of a walker. You will be discharged as soon as our surgeon determines that you have recovered sufficiently. You can expect to stay in the hospital for about three days after your surgery. Your bandages and sutures will usually be removed before you leave the hospital. At home, you will need to continue your exercises. Your physical therapist will instruct you about proper home care, and may continue to work with you. Within six weeks after surgery, most patients are able to walk with a cane. You will probably feel well enough to drive a car within seven to eight weeks after surgery. In most cases, successful total knee replacement will relieve your pain and stiffness, and allow you to resume many of your normal daily activities.